The Business and Professional Licensing Administration of the DC Government's Department of Consumer and Regulatory Affairs (DCRA) is responsible for guiding DC businesses through corporate registration, licensing, and the other regulatory procedures required to do business in the District. 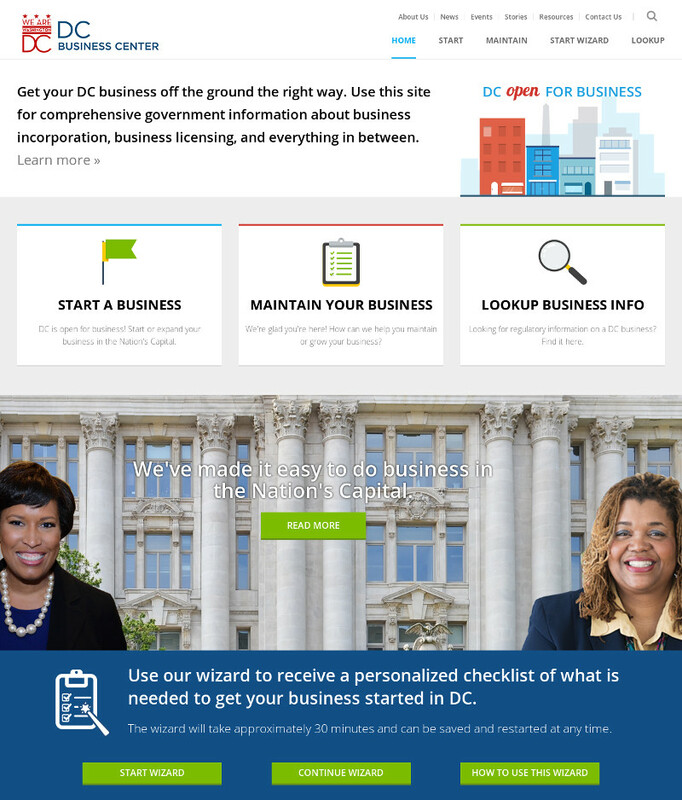 The DC Business Center website, which is being developed in phases between now and 2016, is a guided, comprehensive starting point where owners can receive information tailored to their specific business needs. Filnet was involved in the initial planning and tasked with developing the primary design, UI/UX, and information architecture for this website.